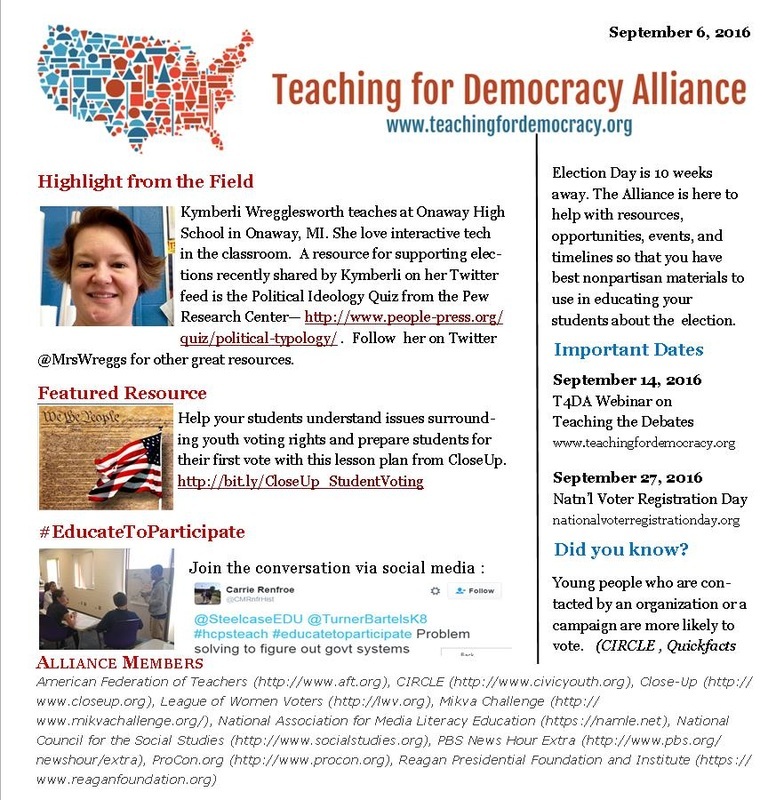 The Alliance newsletter highlights field practices, resources, important dates, and ways to engage in the conversation around teaching the elections. Please share this web link widely, or download the PDF below and distribute to your networks. We will be distributing newsletters on a bi-weekly basis from now until the end of November. Subscribe below if you are interested in keeping yourself informed. If you have an interesting field highlight, please email the newsletter editor at felicia.sullivan@tufts.edu.